Although acknowledging in prayer that God is great and good, our family’s evening meal prayer was not a picture of abiding. It did not provide a clear picture of who God is or what Jesus accomplished on the cross. I did not know a single verse of Scripture, so His Word did not abide in me. I had a small Bible that my grandmother gave me as a Christmas gift when I was a young girl, but I never opened it. I tucked it away in my keepsake box and there it remained … for decades. Oh, how I wish now I’d opened His Word to meet my Savior! The Lord’s words are LIFE and we abide in Christ through communion with Him and the study of His Word. This verse is not a promise of reward, but rather a statement of relationship. When we abide in this way, our prayers are much different than that meal prayer of my childhood. The prayers of believers who abide will be of such a nature that they are in full accordance with the counsel of His Word. Such abiding prayers lean toward fruitfulness. When Christ and His Word abide in us, prayer becomes a powerful tool for change ─ not for our glory, but for the Father’s glory (John 15:7-8). The power of prayer is dependent upon the faith given to us (His disciples) by God. The power of prayer is unlimited to those who abide in Christ ─ unlimited power because we have been connected to the ultimate Source of all power. Scripture contains numerous special exhortations to pray (Matthew 7:8, John 14:13, John 16:24), yet many Christians admit they do not regularly pray. I have asked all of these questions, and then some, but Scripture tackles all of our doubts. God always answers the prayers of His people: “When he calls to me, I will answer him; I will be with him in trouble; I will rescue him and honor him.” Psalm 91:15. God answers our prayers. Period. He is not ignoring us. He is not too busy to listen. Our prayers may not be answered the way in which we like or ask, but God always answers them in accordance with His will and His plan for our life. Prayer is an integral, inseparable part of our life in God’s vineyard. In 1 Thessalonians 5:17, we are reminded to pray continually. God longs for that personal, quiet time with you ─ His precious child. Consistent, abiding prayer enables every believer to live in abundant freedom with the One who breathed life into you, redeemed you, and loves you like no other. Every time I messed up, that paralyzing question ricocheted through my mind making me jump at my own shadow. I imagined God lurking overhead with thunderbolts in hand ready to smite me on the spot. Now don’t misunderstand me; it is important to seek the Lord’s discernment for sinful behavior, especially when willful sin is at play. However, by keeping my focus on whether or not I was sinning, I took my focus off the One in whom I needed to abide. Sin does not necessarily equate with failing to abide. We are sinful by nature. In other words, we sin when we don’t even know we’re sinning. Consequently, sin does not automatically translate into a failure to abide. However, willful sin is a different story. Willful sin is choosing not to abide in Christ. Willful sin says, “I don’t need God to accomplish what I want to accomplish.” Willful sin hisses the lie that we can live spiritually significant lives apart from abiding in the true Vine. Judas Iscariot fell into that category. Judas went through the outward motions of following Jesus as one of His disciples, but his actions over time revealed that he did not inwardly abide in the Vine. Silver was worth more to him than our Savior. Consequently, he was cut off, thrown into the fire, and burned. You and I can properly perform all of the outward religious activities, but if we are not inwardly abiding in the Vine to bear fruit that lasts, we will be cut off, as well. It took many years for me to learn to abide (and I’m still working on it by His grace alone). Over that time, God in His Word has impressed upon me that what we focus on matters. If we are focused on not sinning, then we are focused on our sin. If we are focused on abiding, then we are focused on Christ. One focuses on self, one focuses on Christ. When we abide in Jesus He abides in us, and His love abides in us. Rather than examining every single thought and action through the lens of “Did I sin?” examine it through the lens of “Did I abide?” Did I strive to love and serve Him with my thoughts, words, and deeds? If yes, then we are abiding. In His love, God will convict believers of our sins when we fail. And we will fail. Miserably. That’s part of living in this fallen world. But there’s Good News! Through the power of the Holy Spirit, we trust Him to break up the hardened soil of our hearts by pointing out those sins, giving us the space and grace to repent, and then receiving His divine forgiveness. As you examine your thoughts, are they focused on abiding in Him or whether or not you are sinning? The goal of abiding is to bring glory to God. When your focus strays, ask God to re-center your thoughts on Him. That is a godly prayer! Much like the disciples asking Jesus to increase their faith, God honors our requests to draw closer to Him. Only our true Vine provides the very nutrients we, as His branches, need to survive and thrive in His vineyard. Open His Word to meditate upon His words of life. Abide in Him as He abides in you. As a know-it-all twenty-something, I thought the world was my oyster. If I worked hard enough and played even harder, true happiness was inevitable. I had a good job, many friends, my own apartment, and a big city full of possibilities. I answered to no one except myself. My time, resources, and decisions were disbursed as I saw fit. I was also not a Christian. After many poor decisions and dependence on money for happiness, my life was anything but happy. Eventually, cavernous debt became a millstone around my neck and it was clear that my immature, worldly-centered, unchecked independence, was quickly destroying my life and future. Have you ever desired for independence so badly that you almost self-destructed? After being baptized into the faith that God called me to, I learned that He calls us to be part of His vineyard. I had to learn from scratch that believers are dependent on Him for everything. After all, every blessing in our lives comes only through the unmerited grace of God. We as disciples constantly struggle with thoughts of independence ─ mainly, asking God to bless the plans that we believe are best for our own lives. But that’s not the meaning of John 15:4. Jesus tells us that we are to remain in Him. What does that even mean? When Jesus talks about abiding, the Word tells us that it translates into believing that Jesus is God, following God’s commands, believing the Gospel, and relating in love to the community of believers (fellow branches in God’s vineyard). That doesn’t sound like a call to live independently. 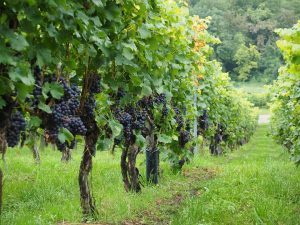 God planted (sent) Christ, the true Vine, to establish and care for His Father’s vineyard. As His branches (disciples), you and I are dependent on the Vine for everything — even the air we breathe. If you read through John’s Gospel without pause, you will note that there is a consistent emphasis on the disciples’ complete dependence upon Jesus to accomplish His work and will in the world. Jesus is the perfect portrait of complete dependence on God, the Vinedresser. He sets the example that we, as His disciples are to follow. I often fall far short of complete dependence on Christ for everything. Some days, I fall short of depending on Him for even the smallest things. Can you relate? How would you describe your dependence on the Vine? When is the last time you halted your footsteps to determine if the direction you are heading is in accordance with the Father’s will? John reiterates that even the very words that Jesus utters are the words of God (John 3:34, 14:24). In this sinful world, you and I fall short of such a perfect standard. However, we are not without hope! Christ abiding in us provides the strength we need to follow God with every heartbeat of our lives. The life Jesus lived, He lived by the Father (John 6:57). Jesus did not heal people or perform mighty miracles for self-glorification. His thoughts, words, and deeds, were in one accord with the authority of the Vinedresser (John 5:19, 30). Why? So that we may see the glory of the Father through the true Vine. Nothing and no one completes us but Christ. Only the Creator completes the created. We will not find contentment, fulfillment, or purpose apart from the risen Christ. The world may tout independence as the only way to ride through life, but it is a runaway train. Dependence on Christ provides the nutrients, care, and growth we need to be fruitful in this life. God planted us in His vineyard and connected us to Christ the true Vine so that we can bear fruit for His glory. No greater calling or privilege exists. My Texas home contains several gardens that require constant care. The ten-year old angel trumpet plant grows taller than my roof each year and produces beautiful ten-inch, pale pink trumpet-shaped flowers several times each year. However, such faithful production would decline if I neglected to prune it back to only two feet tall each spring. Gardeners and farmers understand the importance of pruning. Since believers are planted in God’s vineyard, it means that we must submit to the Vinedresser’s pruning. Grapevines in vineyards naturally grow wild, so they are pruned and trained to the trellis structure in order to produce optimal fruit. When we abide in the true Vine through the power of the Holy Spirit, our Savior shapes us through His Word. Such careful, loving pruning is designed to produce abundant fruit. Although pruning does not feel good at the time, we trust that God has our best interest at heart. Such knowledge soothes the wounds brought about by pruning, so that we can fulfill God’s divine design. In God’s vineyard, there are two kinds of branches: (1) fruit-bearing branches that are pruned to bear more fruit, and (2) non-fruit-bearing branches that are cut off, dried, and burned. Although pruning means purging useless or superfluous shoots from a vine or tree, it also means to cleanse from filth and impurity. As you take a quick survey of your current circumstances, activities, and interests, what might God need to prune in your life to bring about better fruit? For example, when God repeatedly affirmed my calling to write Bible studies and teach from His Word, I dove in with unparalleled gusto. I spent considerable time studying His Word, filling countless journals with notes, and taking online classes to study the Bible’s original languages. I read mountains of commentaries, listened to sermon podcasts, and much more. But I mistakenly thought that I could fit all of those activities into my life without purging anything else. Even though those new endeavors for the Lord produced many devotions, blog posts, Bible studies, and eventually books, my fruit-bearing branches were becoming exhausted. However, I kept on plowing ahead (pun intended) because I truly love the calling that God has placed in my life. Then one day, the Vinedresser—without consulting this lowly branch—began pruning activities and commitments from my schedule that He knew were “sucker branches” to His plan for my spiritual growth and fruitfulness. At first, I objected and tried to convince God that I was superwoman. I wanted to prove that I could not only do it all, but could slam dunk it while wearing high heels and singing Kumbaya. My objections only proved my spiritual immaturity. As soon as I began trying to prove that I knew better than God, a four-month season of what I call my “discipline blessings” began. Sinus and upper respiratory infections hit me hard and non-stop, which resulted in “forced” rest. Since I could hardly breathe, function, or concentrate for four months, hours in bed replaced exhaustion with repentance over my hardheadedness. In other words: I experienced discipline from above. I look back upon that season of “discipline blessings” and thank God for His wisdom. The lessons that He taught me during those four months made me realize just how much God loves this stubborn branch and His vineyard. Although my four-month disciplining season was uncomfortable at best and heartbreaking at worst, God drew me closer to Him during that time through prayer to discern the plan that He continues to unfold for my future. Pruning sometimes hurts. But it is a necessary process for God to nurture and produce the best fruit for an abundant harvest. If you have been a branch in God’s vineyard for any length of time, you understand that pruning often translates into pain and hardship. That’s not because God enjoys seeing His children suffer, but because He knows it needs to take place for future growth. God never promised that being connected to the Vine would mean that life would be fine as wine. By God’s grace we put one foot in front of the other while He prunes. It’s a lifelong, life-giving cycle in His vineyard. Our Lord and Savior is fully aware of your circumstances. ABIDE IN HIM. Stay connected. His plan for you is perfect and incredible. 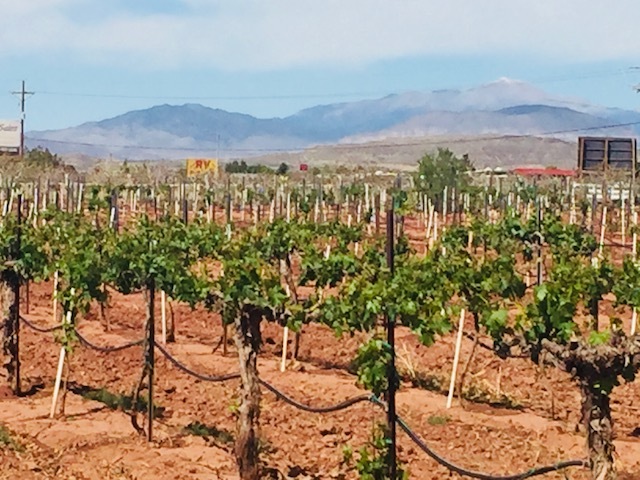 Planting a vineyard requires significant thought, care and dedication. Grafting and cultivating abundant fruit is not an accidental process. Grapevines need much hands-on care to produce the best fruit possible. It is a careful, patient process that takes years. Before planting new grapevines in the vineyard, the ground is prepared by a process known as “ripping” the soil. Using a thick steel tool, tractors rip five feet deep trenches in one direction, crisscrossed by three-feet deep trenches in the other direction. The tractor then uses various tools to smooth the rough surface. 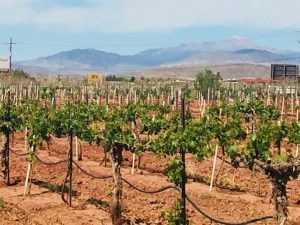 After carefully considering where the vine rows will be planted, irrigation lines are dug and installed, followed by the posts that hold the wire on which the grapevine grows. Adding compost to the prepared soil is the final step before planting the new grapevines. These necessary steps are crucial to provide the right environment for the tender new grapevines to grow, mature, and flourish. As God prepares us for His holy purposes in His vineyard, sometimes it feels like our life has been ripped open. We are busy, juggle a full schedule, and have plenty on our plate, right? We like the routine of life and the comforts that make our days a little smoother, thank you very much. Because ripping doesn’t feel good. But God never called us to a routine of comfortable surroundings. He calls us to bear good fruit that lasts. A grapevine’s life begins as two separate vines in a nursery. The first vine is called the rootstock, which does not produce good fruit. 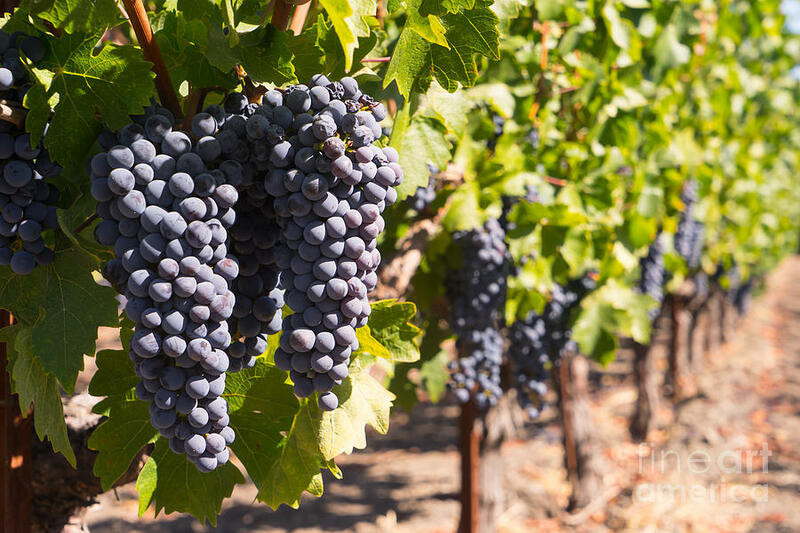 The other vine is called the varietal, which determines the variety or type of grape that will be grown (Concord, Cabernet Sauvignon, etc.). The nursery’s expert grafters slice a deep V-cut into the rootstock, then meticulously cut a matching slice in the varietal’s bud. The bud is then inserted into the rootstock’s cut and a special tape is placed over the cut (like a Band-Aid over a wound) to bind them together. The root and varietal bleed into one another at the wound, thus bonding to form a single grapevine. 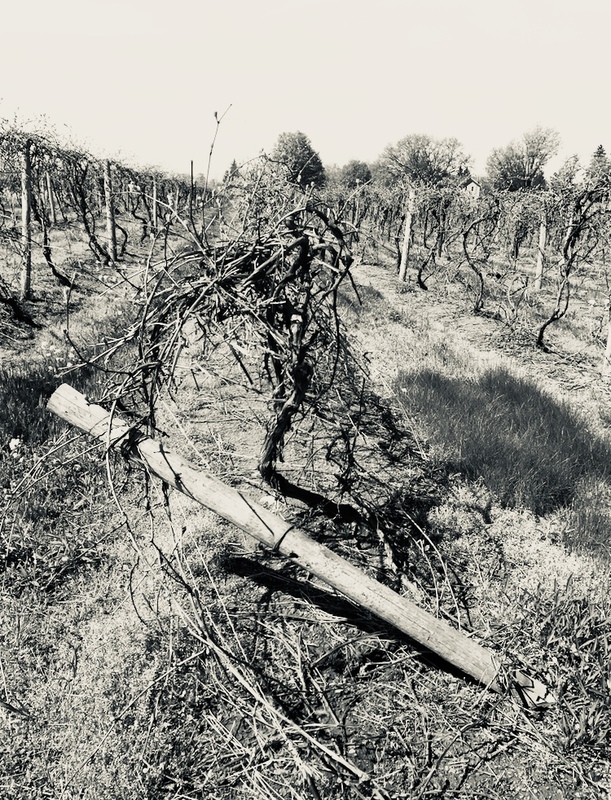 Isaiah 53:5 tells us: “…by His wounds we are healed.” Jesus, the Vine, is our rootstock into which we (the varietal) were grafted into His life—His vineyard. God, our Expert Grafter, cut away our old life and bonded us to a new life in Christ. Through Christ’s life and sacrifice, we become a branch in the Vine from the point of grafting into His wounds, receiving life from Him. Although we face attacks and disease, we will not be defeated as long as we remain connected to the Vine through faith. Preparing for a bountiful grape harvest begins long before vines are planted. 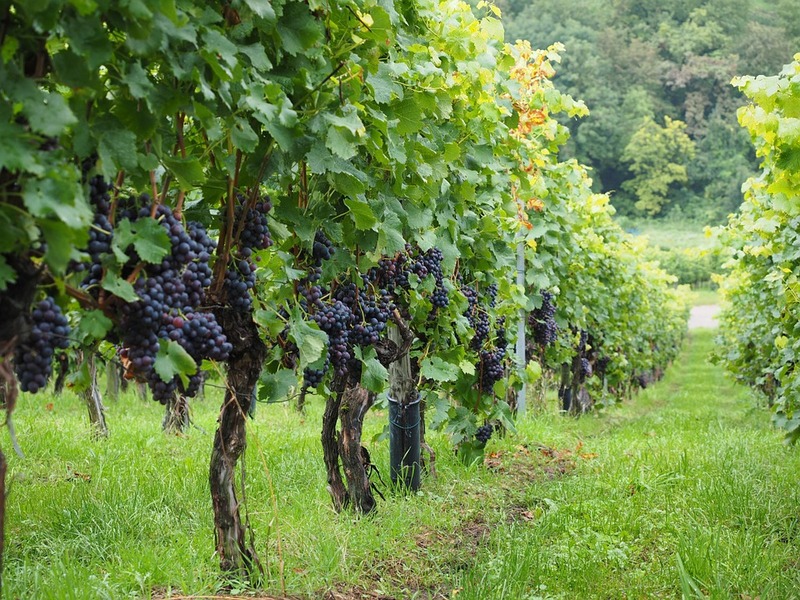 Some vineyards may wait decades for their highest quality fruit. 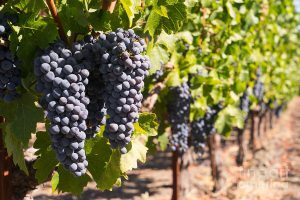 As God matures our faith, the wisdom and discernment that He works in us (pruning and training His grapevines) strengthens us for the struggles that we inevitably face in this life. And the process will take our entire life. The connection Jesus makes in John 15:5 is clear: true life only comes when we are connected to the true Vine. During this season of life, how are you remaining connected to the Vine in meaningful ways? Ask God to open opportunities in neglected areas in which you can participate more fully. Even if it only means five minutes in His Word each day, those are vital, nourishing minutes. God faithfully promises that when we seek Him, we will find Him (Jeremiah 29:13). God has grafted, nourished, and set us apart in His vineyard to produce fruit. Apart from Him we can do nothing. The question is ─ do we bear wild grapes, unfit for consumption, or do we bear good fruit that will be used by God to bring Him glory? 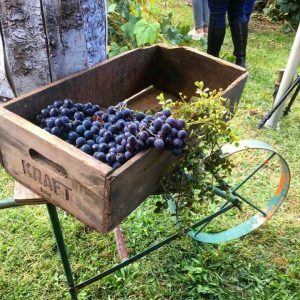 In September 2017, I visited a vineyard in upstate New York at the height of harvest season. My eyes feasted on the lush, green canopy under which large, juicy bunches of purple grapes hung from sturdy vines. Every slight breeze that ruffled the green oasis carried a sweet smell of ripe, luscious goodness. I wanted to settle in and stay a while. It was night and day compared to the last time I visited Gage Farm Vineyards during winter. 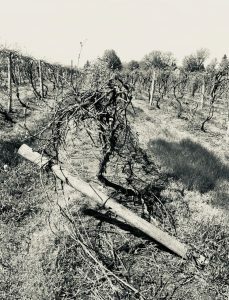 The pruned vines appeared as lifeless sticks — old and unusable. The harvest season offered a vision of lush abundance that caused a deep sense of peace and contentment. The winter season looked harsh and felt like hope had been pruned away with the canopy. I walked down many rows in that vineyard during both seasons, Bible in my hand, reading John 15. Jesus tells His disciples: “I am the true vine, and my Father is the vinedresser” (John 15:1). Those words made sense amidst the harvest, but seemed out of place in winter. Winter looked and felt like an old wine skin. Settling in and staying a while in winter never crossed my mind. I kept thinking, “How can these cold, lifeless sticks produce new wine?” My eyes desperately scanned each row for signs of life. That’s how spiritual winter seasons feel. Sometimes it seems that God prunes so much out of our life it leaves us wondering, “How in the world is there anything left to prune, God?” We feel like a bloody, useless stump looking around a barren winter stick yard. Maybe you are there right now. Maybe you feel the blood frozen on the stump of your dreams. You may be tempted to believe that the spring thaw is never coming. After all, what use is an old wine skin? Let me tell you, fellow branch in God’s vineyard, God never prunes for the sake of pruning. He’s not trying to make an ornamental bonsai tree out of your life. God prunes to make us abundantly fruitful for His glory. He promises: “Therefore, if anyone is in Christ, he is a new creation; the old has passed away, and see, the new has come!” (2 Corinthians 5:17) You and I may have some years under our belt and feel like an old wine skin. But hold on a minute. The Lord promises that His mercies arrive new every day (in every season) — even in winter. “The steadfast love of the Lord never ceases; His mercies never come to an end; they are new every morning. (Lamentations 3:22-23) He creates in us a clean heart — a heart transplant at our baptism. We’re going to be spending some time in John 15:1-17 over the summer because there are beautiful truths we need to understand if we are to survive and thrive as a branch in God’s vineyard. Whatever season you are experiencing, take heart. We may long to settle into the lush canopy full of ripe goodness, but harvest does not appear without winter pruning. Only the Vinedresser sees the future of the branch. When God prunes us, He holds us safely in His mighty hands as He clears away the extraneous thoughts, words, and deeds from our life. Sometimes when the winter is severe, you may think that He is absent. Just remember, beloved, He is holding you TIGHT. Giveways, Weekly Devotion and Latest News. Find me on these social media platforms.